Anti-drill front protection by means of hardened steel pins in plugs and tube. 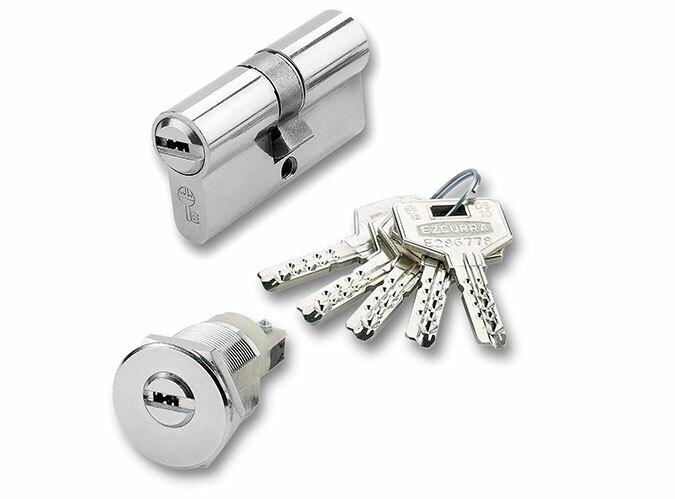 By means of its double row of 6 pins, which act on both sides, combined with the ball bearing on the side, it offers a sophisticated security system that enables infinite combinations. Finishes: brass, chrome, matt chrome.